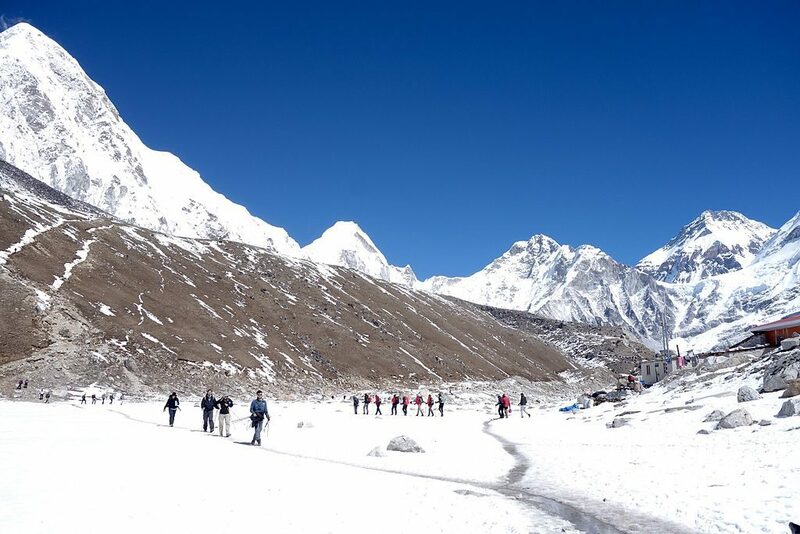 Everest Base Camp Trek takes you to the altitude of 5000 meters above sea level. 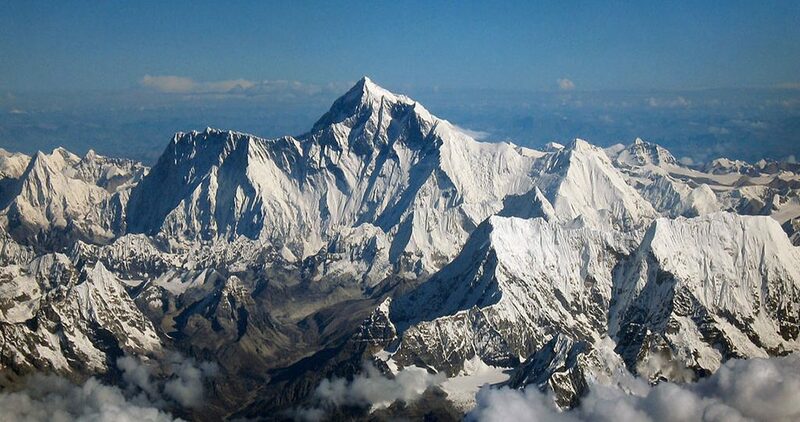 This adventurous trekking route provides you with heroic experience in the Himalayas. Trekking at the footstep of the world’s highest mountain, Mount Everest, is a tough job. But, not impossible. It is one of the most challenging trekking routes of Nepal and needs a lot of preparation before booking or thinking about the EBC trek. If you fail to do so, you might get sick and get a lot of health-related complications. One of the most common medical condition up in the mountain is Altitude Sickness. 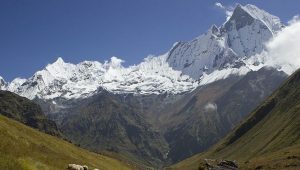 People might get altitude sickness as they ascend higher, preferably above 2000 meters above sea level. If you suffer from any symptoms of the altitude sickness on the way, you must discontinue your trip immediately and return back to a lower altitude region. In severe conditions, it may even get fatal. However, preventing it is the easier. All you will need to do is know about the reasons behind its cause and preventive measures. And it isn’t difficult, the methods are simply things that you should not undermine. While ascending high altitudes, you may feel dizzy, nauseated, tired, short of breath, and you will lose energy. It means you have the signs and symptoms of the altitude sickness and you are suffering from it. Altitude sickness is a medical condition caused by lower oxygen level and atmospheric pressure. The symptom of altitude sickness is often brought on by walking to higher altitude too quickly. The condition is also known as Acute Mountain Sickness or AMS. Generally, the symptoms of altitude sickness can be noticed up at the higher altitude from 2400 meters above sea level. From here, the amount of oxygen level in the air is 60% less than sea level and it decreases further with the increase in altitude. The environment at the higher elevations is totally different from the lower elevations. All the environmental factors such as sun, wind, cold, and low oxygen level are the components to cause altitude sickness. People who live at the lower elevations near sea level are not used to the higher altitudes. So, their body resists adjusting to the environment on the mountains and thus suffer from altitude sickness. It can affect anyone without proper training or acclimatizing body. Age or gender do not seem to make a difference in risk for altitude sickness. There are basically three types of altitude sickness: AMS (Acute Motion Sickness), HAPE (High Altitude Pulmonary Edema), and HACE (High Altitude Cerebral Edema). AMS (Acute Motion Sickness) is a medical condition of your body where the sensory organs such as inner ears, eyes, and sensory nerves get affected. Your body moves but the other parts remain constant and you feel sick. It is very important to notice any kind of symptoms you get and if it worsens, you will need to tell your trekking companion or your group leader. If anyone gets the AMS symptoms and if it worsens, they should be immediately descended towards lower altitudes. HAPE (High Altitude Pulmonary Edema) is a medical condition of your body where the lungs get filled up with fluid. You will have a hard time breathing as your body gets dehydrated and water gets released from the lungs and the lungs get filled up with fluids. HAPE usually occurs as you reach the altitude of 5000 meters above sea level. And this condition is not too common. 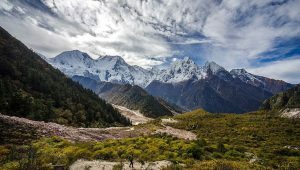 This is considered as a moderate to severe altitude sickness and the trekkers having any symptoms of HAPE, should be immediately descended towards a lower altitude and taken to the emergency medical attention care unit. HACE (High Altitude Cerebral Edema) is a medical condition of your body where the brain gets less oxygen and there is the accumulation of blood in the brain. You lose coordination and will feel difficult stand upright or walk properly. HACE occurs as you reach the altitude of 6000 meters above sea level. HACE is a severe altitude sickness and mostly the patient suffering from it should immediately be taken to the nearest medical care unit, most preferably hospital as soon as possible. It is a rare condition. If not treated in time, the patient might slowly go into a coma or even lose their lives so immediate action should be taken. Most of the trekkers are airlifted in a helicopter if they have any symptoms of HACE. 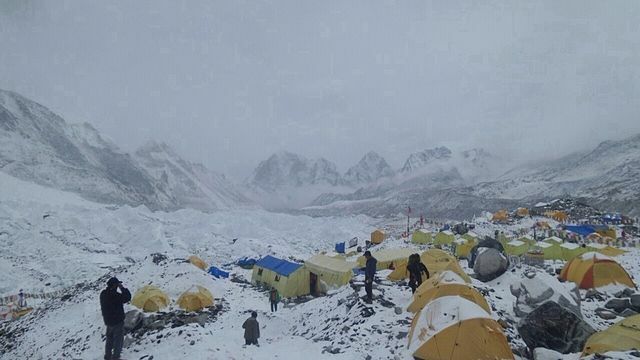 Everest Base Camp Trek is one of the most challenging trekking destinations and is above 5000 m.a.s.l. 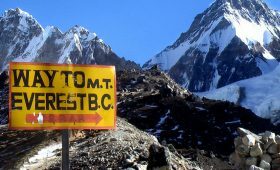 There are several trails to reach Everest Base Camp. Usually, the trekking to the Everest Base Camp starts from the flight to Lukla (2860 m). You should be careful right from the start because the altitude drastically changes as you move further. Each day you should walk for more than 5 to 6 hours at a uniform speed. Increasing your speed may imbalance your breathing pattern. You may not be able to adjust to the environment which will lead to getting the altitude sickness. As you reach Namche Bazaar (3440 m), you need a day’s rest to acclimate your body. The trekking route from this point gets higher each day so you need to adjust your body in the same altitude for some time to ascend further. 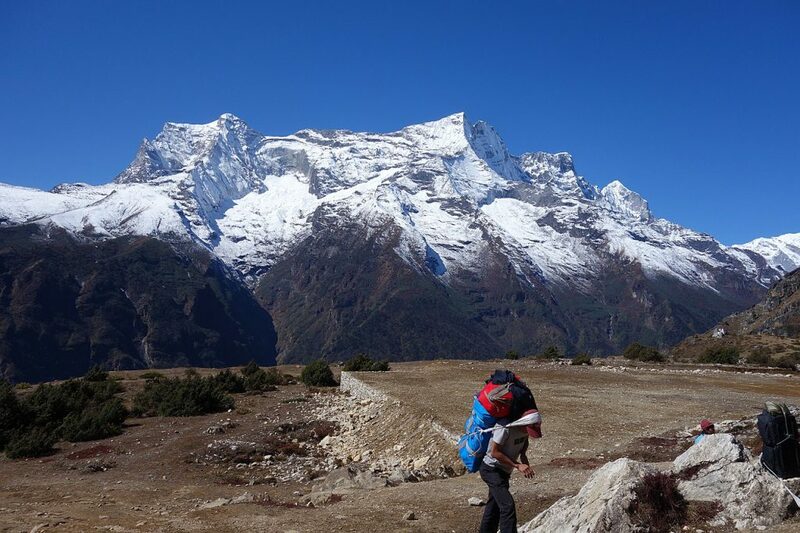 You acclimatize on Namche does not mean you are free from the risk of altitude sickness. Dingboche (4440 m) is the next acclimatization point. It is about 1000m higher from Namche Bazaar and it is also the destination for another acclimatization. It is necessary to acclimate your body in every 1000m ascending to prevent yourself from being caused by altitude sickness. Do not skip acclimatization day. Once you reach 4000 meters above sea level, you need to take extra care of your body since there is a low amount of oxygen in the air and low atmospheric pressure. You should take sufficient fluids and food, and avoid drinking and smoking. This is another most important measure to avoid altitude sickness. Gathering information about the Everest Base Camp Trek and finding out the possible difficulties throughout the trip is the first thing you need to do. A good research will keep you prepared in overcoming difficulties. This trek is the most adventurous and toughest trekking routes. So, you need to gather prior information about the trekking as much as you can in order to get well prepared. Going to the higher altitude means the higher probability of altitude sickness. As Everest Base Camp Trek is the world’s highest altitude trekking trails, anyone can be affected. Even experienced guides and trekkers suffer from altitude sickness when ignoring the basic preventive measures properly. Walking at a slow pace is one of the most important steps to prevent yourself from altitude sickness. Trekkers undermining this are the ones who usually get the symptoms of the altitude sickness. Trekking is not a race. As the oxygen level is comparatively lower up in the higher level, if you hurry up and walk quickly, your breathing increases and you may suffer from shortness of breath leading to fatal health conditions. 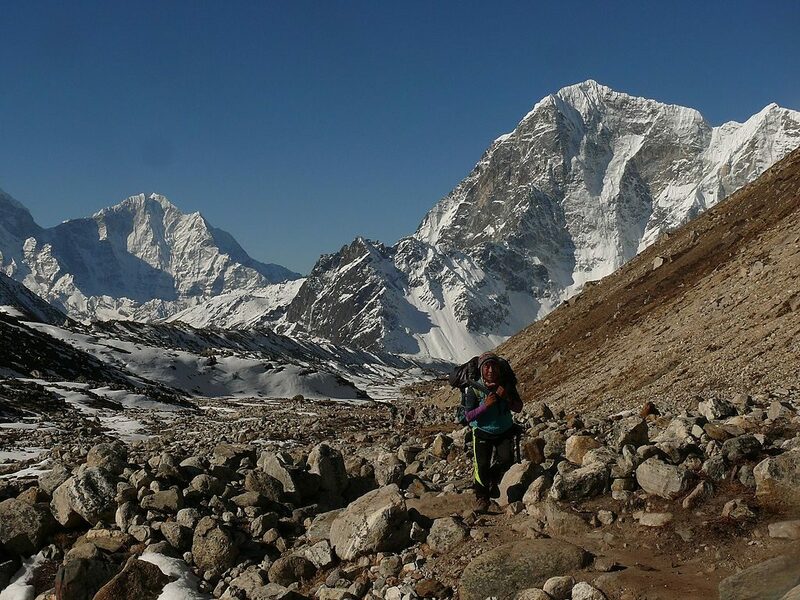 When it comes to Everest Base Camp trek, most of the ascending paths are steep and rocky. So, you should move gradually- slow and uniform speed. You need not worry about time calculation, as your itinerary is set in such way that you will reach to the destination even if you walk very slowly. Controlling in your pace of walking will help you stay away from altitude sickness. At the daytime, you may not feel the symptoms of altitude sickness. It usually affects you at the nighttime, as the oxygen level at the nighttime is lesser than in the daytime. Temperature also falls down at night. So it is recommended not to sleep at an altitude higher than 5000 meters above sea level. You need to climb up in the daytime and return back to the lower altitude in the evening to get a good night’s sleep and stay away from altitude sickness. Camp (5360 m) and Kalapathar (5545 m). So our itinerary does not have camping or sleeping at such altitude. You will be trekking up to the Everest Base Camp and Kalapathar at daytime and be returning back to sleep to a lower altitude at nighttime. Proper acclimatization is the most important things to do in order to prevent altitude sickness. 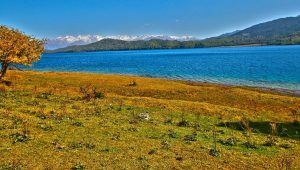 Most of the people tend to skip acclimatizing at the given rest points in order to complete their trekking journey early. This can be a problem and it is strictly recommended to acclimatize at rest points declared in the itinerary. As you rest your body at a higher altitude, it will adjust itself with this change in altitude. Your body especially your lungs will adopt to the thinner air. Getting ahead with your journey the next day will be a lot easier. The acclimatization points are guaranteed milestone in preventing getting altitude sickness. Everest Base Camp Trek is one of the toughest treks among all the trek that will take you up to the elevation of 5500 meters above sea level. So, it is a bit challenging for a novice trekker. If you are physically weak and have the weak medical condition, it is easier to get altitude sickness. 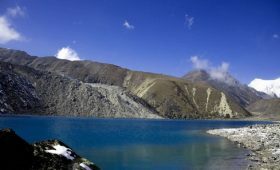 So, prior preparation is strongly suggested before booking your EBC trekking package. You are recommended to get prior training for about 6 weeks before your actual trek. Your body will be physically fit and healthier too. Also, you will gather enough stamina for the trek. A Professional training program that deals specifically with altitude climbing are necessary. Cardio and stamina training will help you and your body to overcome altitude related issues. It is strictly restricted to smoke or drink alcoholic beverages while trekking in Everest Base Camp. The oxygen level is already thinner at this altitude as compared to the lower altitude region. Taking alcohol beverages or smoking might cause shortness of breath and you can get altitude sickness easily and there are chances of symptoms to worsen too. This is due to the dehydration, and smoke and alcohol will make it worse. You might even get unconscious and may have to discontinue the journey. Alcohol dehydrates your body and drains you. Getting drunk is the last thing that should be on your mind. We strictly advise not to take any medications while trekking unless they are doctor prescribed and approved for the journey. There are certain medications that help prevent altitude sickness that you can buy over the counter. It is not wise to take it without proper consultation. Because they might not be suitable for your body or may not sync with the regular medication you take. One of the popular medications to prevent high altitude sickness is Diamox (Acetazolamide). It does work in speeding up the acclimatization process but is only effective if taken the right dosage at the right time. Hydrating yourself is one of the important things to do that will help prevent you from different types of health issues including altitude sickness. You may not feel thirsty while trekking up in the higher altitudes due to the icy cold environment in the mountain. Or, you may just be lazy or cold to drink enough water. Some may restrict drinking in order to avoid urinating too often. This is absolutely dangerous. You need to hydrate yourself no matter what. Hydrating yourself not only help to get rid of the hassle of altitude sickness but also help you to cure the prior symptom of the altitude sickness. To maintain normal body condition while trekking, you need to drink 5 liters of water per day. You should carry sufficient water with you. Drink as often as possible, in each interval or during short breaks. Everest Base Camp Trek is tough and the terrain is diverse. It will drain you, so you need to take healthy meals as well as have short snacking breaks. Carry healthy snacks such as energy bars and chocolates that gives you an instant energy boost. 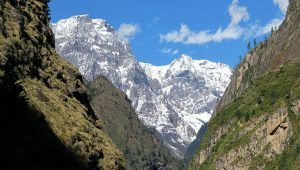 Many trekkers have claimed that dark chocolate consumption during the trekking has helped them against altitude sickness. So, it is good to snack wherever or whenever possible. Again, this doesn’t mean that you are allowed to stuff yourself. This is also not suggested. Choosing the right traveling agency will help you get rid of a lot of problems that you might face. The right agency will give you good suggestions and guidelines. These suggestions are mostly based on previous experiences. Also, most of the things you need while trekking is organized and managed properly by the agency. They will brief you with the do’s and don’ts. For instance, as mentioned above, you should rest at two different rest stops to acclimatize properly. If you choose a travel agency which doesn’t have any acclimatization but has a cheaper rate, then you reconsider. The itineraries and price is interrelated and should never be compromised. Trekking to the Base Camp of the world’s highest mountain isn’t child’s- play. You will need a professional to keep you safe. Precaution is always better than care! So if you take proper precaution while trekking altitude sickness in Everest Base Camp can be avoided. Yes, there are chances of falling prey to altitude sickness but with precautions it is doable. Abide by the instructions laid out by your group leader. Communication is key. Be sure to pre-inquire and clear any doubt. Also, reach out to the guide or the team leader in case of any unusual body condition. You can always contact us if you want more information regarding Everest Base Camp Trek Altitude Sickness or any other queries. Best of luck for your adventurous journey towards the footstep of the world’s highest peak!